The excitement of forthcoming presents, the twinkle of lights, the smell of the Christmas tree, and the beauty of newly fallen snow. There’s nothing like it. Christmas is innately enchanting, but there are a few fun things we can do as parents to make Christmas magical for kids. 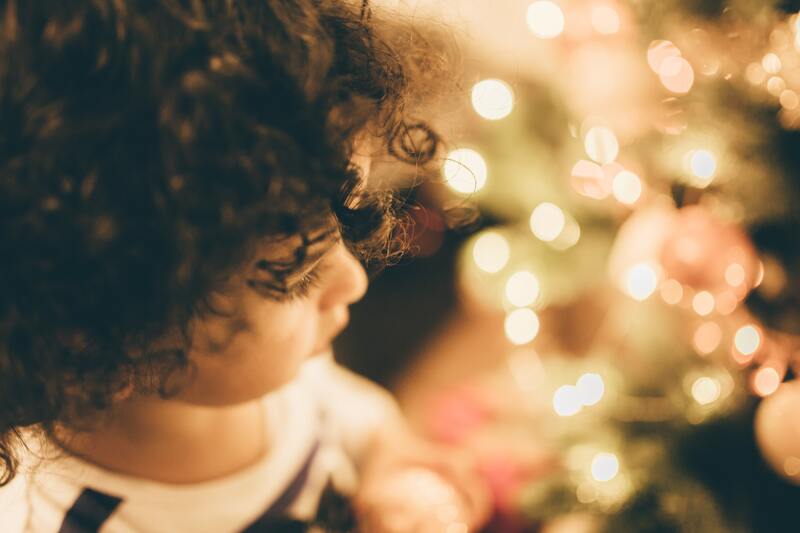 Here are our top four suggestions for making beautiful memories this Christmas. What better way to capture the magic of Christmas than with a letter from Santa? 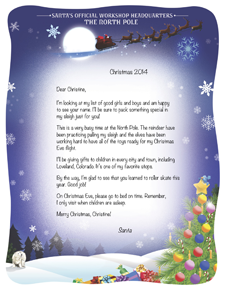 One of our Bkeepsakes.com customer favorites, Santa Letters are personalized just for your child, with their name, city, and other fun details. Letters are mailed in December to your mailbox in an official “Sleigh Mail” envelope. Choose from two adorable designs and four letters, and each design comes with a matching Magnet Frame gift. Just make sure to order by Dec. 12 for a Christmas delivery; however, it’s ideal to order before Thanksgiving. We came across this fun holiday tradition in one of our favorite blogs, Growing a Jeweled Rose. Sure to make Christmas magical for the kids in your life, this fun little craft is also pretty simple to pull off. All you need are candy cane seeds (a.k.a. peppermint candies), soil or fake snow, a small planter, water, and some full-sized candy canes. “Plant” your candy cane seeds, have your kiddos water it periodically, and then practice their patience as they watch the candy cane slowly grow from the soil. Click here for full instructions. Such a fun idea! Here’s a cute idea from Moneysavingsisters.com — an adorable Christmas Eve Gift! This gift is especially useful if your family opens presents on Christmas morning. One way to make Christmas Eve magical for kids is to let them open one carefully constructed Christmas Eve present. We suggest throwing in a fun pair of Christmas jammies, some snacks like cocoa or cookies, and either a fun Christmas book or movie to enjoy together as a family before heading to bed. This is a fun and memorable way to create magic during the holidays! Holiday baking is a lovely and memorable way to make Christmas magical for kids. But instead of making sweet treats that you’ll just end up eating, bake a fun gingerbread ornament that you can keep for years to come. We found this awesome recipe on mypinventures.com. All you do is start with a simple baking soda dough and add cinnamon to make it into a gingerbread dough. Once you have the dough made, you can cut it into shapes, bake, cool, and add fun decorations like glitter, puff paint, and ribbon to make adorable Christmas ornaments. Not only is this a fun and unique way to add a little homemade Christmas cheer to your decorations, but it’s a nice way to keep your kiddos occupied on a cold December day. Keep these simple projects in mind this Christmas and you’ll be the coolest parent around. Making Christmas magical for kids is simple. All it takes is a little bit of time and effort. Now go make some memories! Check out our entire blog page for more fun craft ideas! Adorable Animals spell out your child's perfect name in this personalized book! Only $32.95. Keep track of baby's growth from small to tall!